Today it is highly important to be a good-looking person. Keeping fit is one of the ways to improve your image. A lot of people fighting obesity and dream about losing pounds. At the same time, gaining weight can also be a rather challenging task! Are you tired of being extremely slim as a stick figure? Do you want to normalize your weight and put on muscles without spending days and nights in a gym with an expensive fitness instructor? Which diet should you stick to in order to achieve your goal and not to spoil your health? 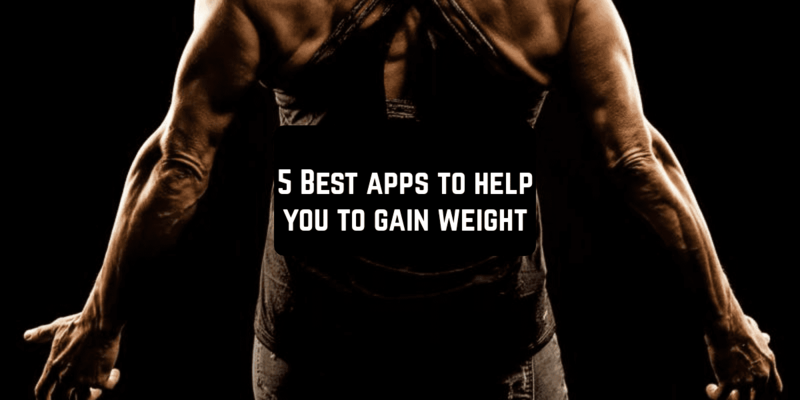 These 5 apps for Android and iOS will transform your smartphone into your personal dietitian, fitness instructor, and motivator. Here we go! It goes without saying that proper nutrition is important to keep us healthy. You can modify your diet in order to gain weight. Set a goal and achieve it step by step by combining an appropriate diet, regular workouts, and your positive mindset. The first thing Diet tracker, Weight gain asks you about is your gender, age, your current weight, your weight goal, height and some other characteristics. Based on this information, the app automatically calculates how much weight you need to gain and tells you how much kilocalories you have to consume in order to achieve your goal weight as soon as possible without causing harm to your body. On your way to your ideal weight, you may change your data and track your progress, which is shown in the form of a graph. You can review the improvement of your body in weeks, months and years. So, in order to achieve your goal weight, you must adjust your daily nutrition habits to the defined goal. Choose food with higher content of calories to increase your calories intake. Remember that your diet should be healthy, so abstain from fast food. The app disposes of a special database. Database available provides you with the possibility to add a wide variety of dishes to your daily menu, update and enlarge the list of dishes to make your diary more adjusted to your real diet. The recommendation about the amount of proteins, carbohydrates, and lipids, fats, fiber, and cholesterol that you need to consume daily are also made by Diet Tracker, Weight Gain. Body Mass Index and the percentage of Body Fat are also calculated based on your gender, age, height and current weight. Apart from modifying a diet, regular training is also necessary. 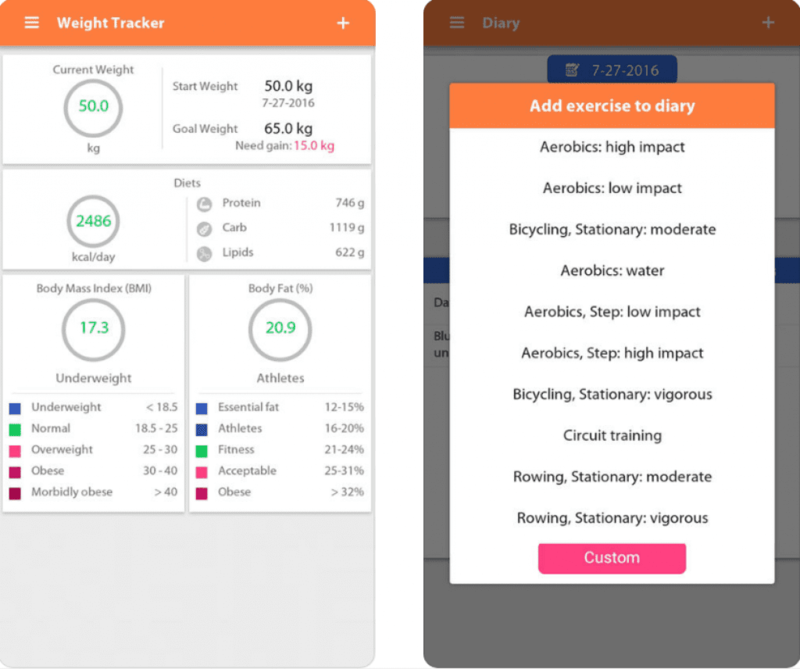 The Diary you have in this app lets you note the food you eat and exercises you do in order to count how much calories you consume and burn on a daily basis. The types of different exercises are also given as a recommendation. Diet tracker, Weight gain also gives you useful tips on how to gain weight. The tips include such recommendations as to train your body every day and not to drink water before eating and while eating your meal. 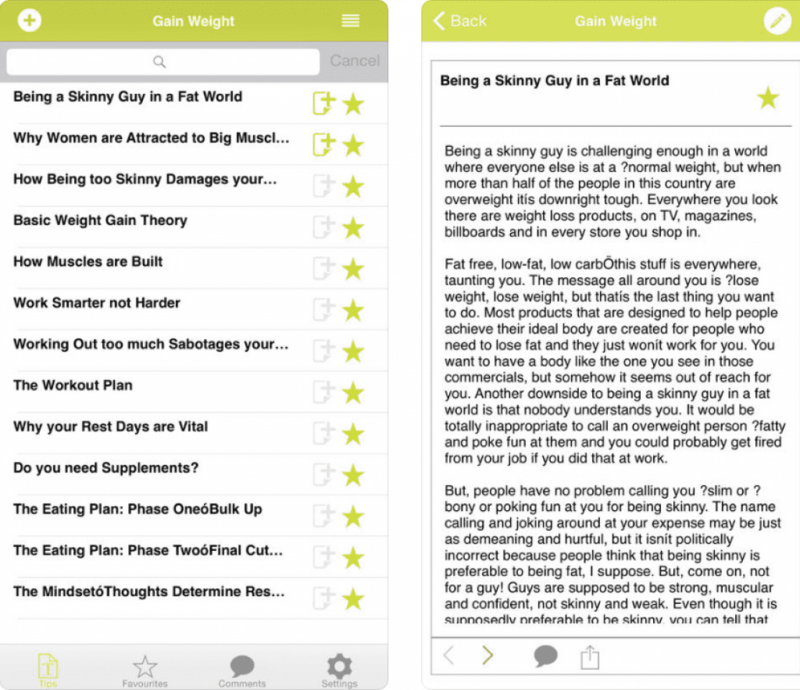 This app is aimed at elaborating on personal strategies for optimal weight losses through modifying your daily eating habits and doing sport regularly. Your smartphone transforms into «a doctor inside your daily nutrition». It recommends you a perfect diet for you and encourages you to do your sports activities regularly in order you achieve the weight of your dreams without causing any harm to your body. Start using this app to change your lifestyle beyond recognition! Proteins are indispensable for our bodies. Whether you’re a man or a woman (especially pregnant or breastfeeding) you must consume enough proteins to stay healthy and keep fit. You must increase protein consumption if you want to gain weight and put on more muscles! High Protein Diet Foods Guide provides you with weekly meal plans with foods rich in proteins and recommends you recipes of high protein foods. 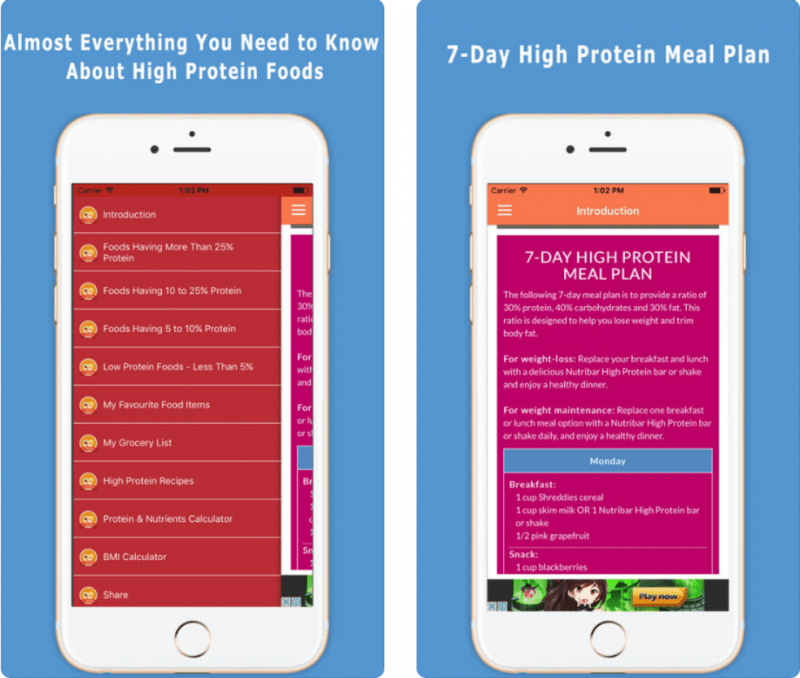 With High Protein Diet Foods Guide, you can search for a necessary product by Food Groups or Food Names. You can add details in the description of this or that food item to help to adjust the app to the user’s needs. Use grocery list in order not to forget to buy necessary food items in a supermarket. Different calculators (nutrients Calculator, Protein Calculator, Body Mass Index calculator) are available for you to keep track on your protein consumption. The list of protein-rich food is compiled according to data provided by the United States Department of Agriculture (USDA). Foods in this list are displayed according to the amount of proteins they contain in 100g. 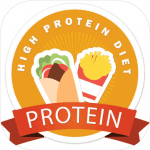 Download High Protein Diet Foods Guide and take the first step towards your ideal body! 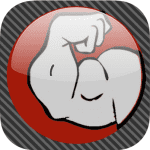 FitCal is a Fitness Calculator, which is ranked as number 1 by Fitness Professionals. At the same time, FitCal – Fitness Calculator is simple in its use, so it can be used by anyone willing to improve its body, gain weight and put on muscles. 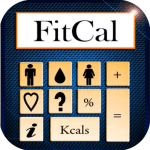 For iOS Fit Cal — Fitness Calculator cost USD 1.99. For Android Free and Paid versions are available. Paid version has no advertisement and provides you with more functions. fat and lean mass your body possesses. how strong and endurable your upper body is. how different herbs and roots are useful for the health of your body. 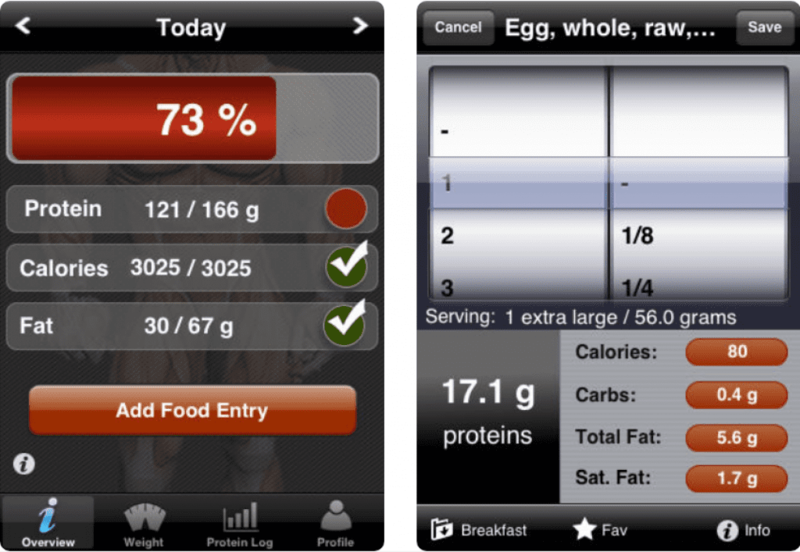 Muscle gainer is an app that combines protein, fat, and calorie counter with a weight tracker. 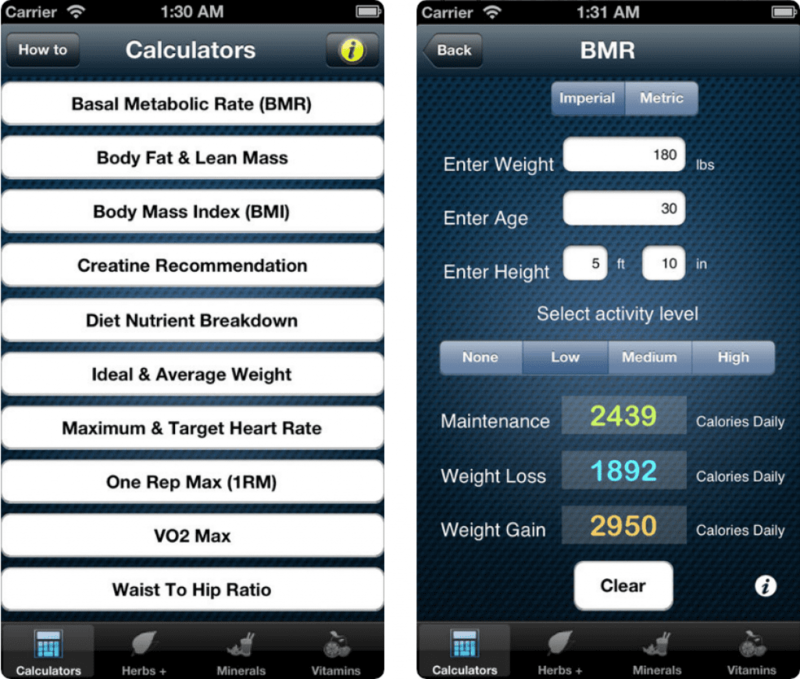 This is the first app designed specifically for those willing to gain weight. You suppose to gain weight by increasing your proteins intake. Do you go to the gym regularly but your muscles don’t grow anymore? The problem is that you don’t consume enough protein and thus your body can’t generate new muscles. So, if you don’t want you time spent in a gym be wasted, you should pay attention to your diet. Some people just increase the amount of food they eat in order to gain weight. But it can lead to growing fat, which is always undesirable. Muscle gainer cares for your reasonable protein and fat consumption daily. 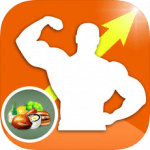 Muscle gainer comprises a list of various food items (more than 70 thousand) to which you can add your own food items in order to adjust the app to your personal habits. Divide food items into groups (breakfast/lunch/dinner or others). There is a special list that includes restaurant menus (more than 400 restaurants available). It also tracks the amount of protein, calories you take and the weight your gain or lose per day, per week or per any defined period of time. All the progress can be displayed in a form of graphs. Based on your height, current weight, gender age, and lifestyle Muscle gainer calculates your Basal Metabolic Rate (BMR) and the amount of calories you must consume daily. Both Imperial and Metric units are available. Gain Weight! is an app for iOS only. Do you want to gain your weight fast? It is true that this goal may seem like an odd one in today’s world where everyone wants to lose a couple of pounds. Gain Weight! will help you to learn how to put on muscles quickly and in an easy way. A special diet elaborated by professional fitness instructors, everyday tips and motivators will accompany you on your way to your dream weight! 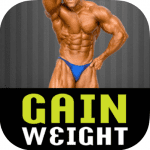 Download Gain Weight for iOS and start changing your life now! We hope with the help of this article you have found an app that you were looking for. We wish you luck in your way towards a perfect body!